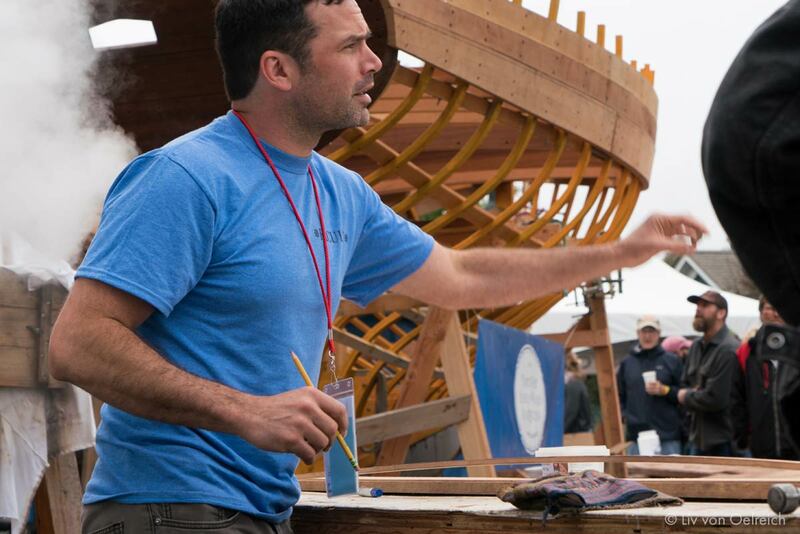 Presentations are a huge part of the Wooden Boat Festival. Since the very first Festival in 1977, there has been a strong educational component. Last year 5400 people attended presentations on 7 stages. We offer an interesting and educational blend of topics each year thanks to our growing list of presenters. Our Presentation Coordinator will be working with presenters to organize, schedule and troubleshoot, and our excellent volunteer AV team trains all year to make the AV run flawlessly. As appreciation for sharing your talents and skills with us, you will be given a Faculty Festival t-shirt, a beer ticket, and a personalized lanyard that will serve as your 3-day pass. Read through our FAQs below. Then, if you still have questions, please email presenter@nwmaritime.org. Click on the application button at the bottom of this page and fill out all the information about you and your presentation. What kinds of presentations do you accept? We like to have a wide variety of presentations! Adventure, technical, tales of cruising, boatbuilding, varnishing, etc. We are open to interesting presentations of all kinds. Where will I give my presentation? 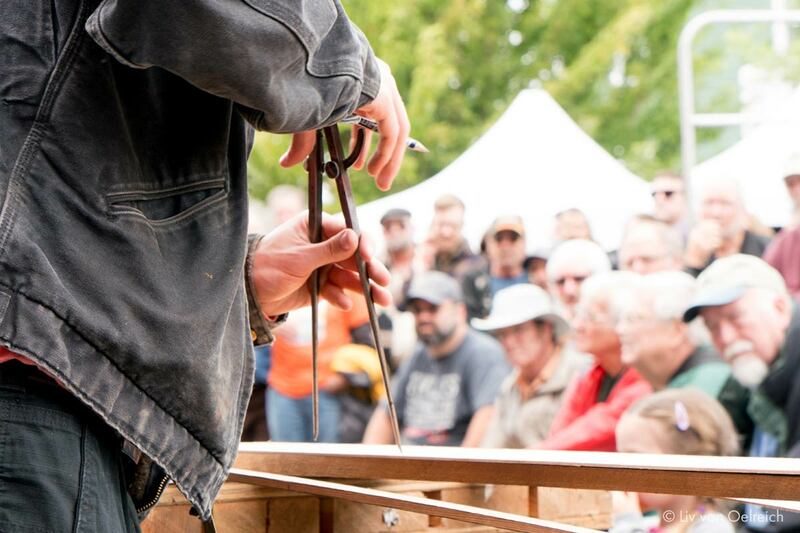 We have 7 stages at the Festival: 4 indoor stages with excellent A/V: Adventure, Technical, Explorer and Discovery; and 3 outdoor stages: Woodworking, Boatbuilding, and Boat Yard. Depending on your needs, the tilt of the earth, where the moon is… or many factors… we place you at a stage we think is best-suited to your presentation. Once accepted, our Presentation Captain will be in contact with you via email to start the scheduling process. Presenters are contacted in February, March, and April. April and May are spent scheduling, and the final Festival presenter schedule is confirmed by June 15. Instructions are emailed in late August, and the Festival happens in September! If you use a slideshow or powerpoint you will need to bring your presentation on a thumb drive, CD, or DVD drive. We have quick turnover on all stages; using our laptops and your thumb drive makes thing run smoother. You will check in with our awesome AV team ahead of time to pre-check your presentation to make sure it’s all working. We provide additional practice time Thursday before Festival and each morning before the gates open. Where will my presentations be listed? All presentations are listed in the schedule which is in the center pull out section of the printed Festival Program and also online at sched.com. The online schedule is available through our website woodenboat.org. We will email you the schedule link so that you can share it and promote your own talk. We promote the Festival as a whole and as many of the highlights and presentations as we can, but we hope you will all promote your talk on your own Facebook page, through your business, and by word of mouth! We really like to cross-promote through our Facebook page. Can I sell my book at the Festival? Presenters who are authors have the option of taking part in the Authors’ Tent where you can sign and sell your own books during the Festival. We try to loosely schedule time in the Authors’ Tent. Our Presenter Captain will be in touch with all authors about scheduling time and table space in the tent. In addition, there will be a table in the lobby of both NWMC buildings where faculty can meet with their audience members who have questions or want to buy books after your presentation session. Parking is incredibly limited. We encourage locals to get dropped off if at all possible. If you have heavy items that need to come to the main NWMC buildings, there is a drop-off area in front of Pope Marine Park. It’s the closest we can get you. You will receive a parking pass for the “back 40” for the days you present, but it is more a hunting license than a guaranteed spot. Thanks for helping out!